In director George Romero's NIGHT OF THE LIVING DEAD, seven people secluded in a Pennsylvania farmhouse face relentless attacks by reanimated corpses seeking to eat their flesh. The group, which includes a married couple and their daughter, a pair of young lovers, and an African American man, try to keep their sanity as the living dead try endlessly to enter the house until they are laid to rest by burning or a severe blow to the head. As they listen to news reports of the zombie plague taking over the eastern United States, the ever-decreasing band of survivors loses ground in their battle to both keep peace with one another and stay alive. Romero's low-budget, homegrown classic went from being unable to find a distributor to becoming one of the most influential horror films of all time. Aside from its visceral impact years before realistic gore became the fashion, the film is also important for its portrayal of a black man as the protagonist during a time when race relations were an extremely sensitive issue in the United States. Romero's choice for the ending of his film also made a shocking and bold statement about the issue. This is one that I enjoy very much. I have watched this film many, MANY times, but... and I may get flamed for this... but I for one prefer the remake to the original. Not because this one is a bad movie... I really do enjoy it a lot... but I just can not stand Barbara's character in this version! What a scared whining.... good for nothing character. I do realize this is just a sign of the times... but I just have such a hard time watching it. Sure I realize Romero says a lot when it comes to race in this movie making Ben such a good and strong character... but the way he did Barbara just takes away from what is otherwise a great movie. I mean even when she is safe in the house and not hysterical... she is still so sicared she can't even get herself to talk to Ben to answer his questions or anything else. It seems like forever before she actually starts to talk to him... and then she does little more then ramble on. With all that being said this is still a great film. 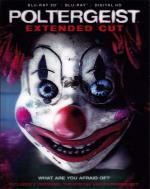 Definitely a film every horror fan should see at least once. It’s a new night for terror... and a new dawn in horror movie-making when special-effects genius Tom Savini (creator of the spectacularly gruesome make-up in FRIDAY THE 13TH and CREEPSHOW) brings modern technology to this colorful remake of George A. Romero's 1968 cult classic. Seven strangers are trapped in an isolated farmhouse while cannibalistic zombies – awakened from death by the return of a radioactive space probe – wage a relentless attack, killing (and eating) everyone in their path. 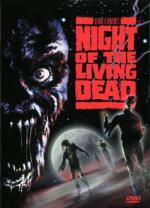 The classic for the 90's: graphic, gruesome and more terrifying than ever! OK... for my tastes... this is much more like it! Yes... in the beginning Barbara is still all scared and crying... but she is also fighting back at the same time and is not depending on someone else to save her! This is the way I want to see Barbara! Not to mention that I am a huge fan of Tony Todd. Between those 2 things... it really feels like this remake was made catered to me. As much as I love the original... and I do love the original!.. I have to say in this case I definitely prefer the remake! How often can someone say that? I also think it is a plus that we have Tom Savani directing this one. He really does a good job showing homage to the original while updating it at the same time. Once again... in my opinion... he made all the right choices to make a wonderful remake from great source material. Rhoda (Patty McCormack) is a well-mannered 8-year-old little lady - and an efficient, unfeeling killer. And in this spellbinding chronicle of evil, whatever Rhoda wants, she ruthlessly gets. Her mother Christine (Nancy Kelly), reluctantly made to see her child's moral blindness at work, is heartrendingly torn between mother love and grief for Rhoda's victims. 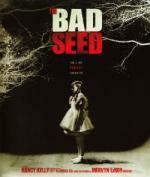 From Maxwell Anderson's stage hit, The Bad Seed ticks like a time bomb under the skilful direction of Mervyn LeRoy, who cast several Broadway production originals, including Kelly (re-creating the role that won her a Tony®), McCormack and Eileen Heckart. Their harrowing performances captured three of this suspenseful movie's four Academy Award® nominations*– and make this thriller one of the great ones. *1956 Nominations: Best Actress (Kelly), Supporting Actress (Heckart and McCormack) and B&W Cinematography. This one is a very good film. Though it is one that starts off a bit on the slow side... but it don't take long to pull you into the story. It has a good atmosphere and the entire cast does a wonderful job. My one complaint would have to be the way they ended it. I think if they would have cut it off a little earlier (while in the hospital) it would have been much better. But with that being said... this is definitely a classic that is worth watching. Join Marnie (Kimberly J. Brown) and her grandmother Aggie (Debbie Reynolds) as they stir up a cauldron full of comedy and adventure in two Disney Channel Classics – Halloweentown and Halloweentown II: Kalabar's Revenge. On her 13th birthday, Marnie learns she's a witch, discovers a secret portal and is transported to Halloweentown – a magical place where ghosts and ghouls, witches and werewolves live apart from the human world. But she soon finds herself battling wicked warlocks, evil curses and endless surprises. Halloweentown Double Feature will charm pixies, trolls and families everywhere every day of the year. This is one I used to watch with my daughter. And we decided to watch it again tonight for nostalgia. It remains a fun family film. Something to just to sit back and laugh at. Of course this is aimed to the younger children so nothing too creepy or scary here. Just a little Halloween fun for the entire family. This sequel... while still entertaining family fun... wasn't quite as good as the first one. This one has all the main cast returning. Worth watching only if you liked the first one. "THEY'RE HERE," playful at first...but not for long. A storm erupts, a tree attacks and little Carol Anne Freeling is whisked away into a spectral void. As her family confronts horrors galore, something else is here too: a new benchmark in Hollywood ghost stories. Producers Steven Spielburg and Frank Marshall and director Tobe Hooper head the elite scream team of this classic horror. Welcome to Home Sweet Haunted Home. I haven't watched this one is quite some time. While the movie does have a little bit of a slow start... it definitely makes up for it with a great story. I never been much of a fan of Craig T. Nelson... but I did like JoBeth Williams as the mother. The haunting starts pretty mild... moving things around and such much to the enjoyment and entertainment of the mother. But before you know it things takes a turn for the worse. It has been so long since I watched this one that I forgot how good it is. I enjoyed every minute of watching this one again. If by any chance you have not seen this movie before... I highly recommend it. From legendary filmmaker Sam Raimi (Spider-Man, The Evil Dead) and director Gil Kenan (Monster House) comes this "thrilling" (Justin Lowe, The Hollywood Reporter) film starring Sam Rockwell and Rosemarie DeWitt. After the Bowen family moves into s seemingly perfect suburban home, sinister spirits begin to haunt them. And when the terrifying apparitions abduct Maddy (Kennedi Clements), their youngest daughter, the Bowens must find a way to rescue her — or they'll lose her forever. With suspenseful storytelling and jaw-dropping visuals, this electrifying take on a spine-chilling classic will haunt you from its early nightmarish moments to its exhilarating climax! Extended Cut & Alternate Ending on 2D BD only. 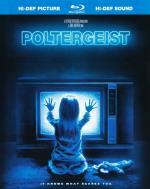 When I first heard they were making a remake of Poltergeist I was not very hopeful but curious. As the original has always been one of my favorites. I was even less hopeful when I read some bad reviews. But I must say I disagree with those bad reviews. I enjoyed this one quite a bit. I never really cared about the father in the original... but I think he was portrayed much better in this one. And lets face it we have better special effects now then we did back in the early '80s... and I feel they made this version more enjoyable. I also liked that this time we got to see the little girl in the other side and what the little girl had to go through. This doesn't take away from how much I love the original. It just gives me another option for the basic story. In my opinion this is a remake done right... I definitely feel it is worth the time put in to watch it. Starring: John Carradine, Robert Lowery, Ramsay Ames, Lon Chaney Jr.
Big screen icons Lon Chany Jr. and John Carradine star in this riveting tale of true love and the ancient curse that haunts it. Doomed lovers Princess Ananka and commoner Kharis (Chaney Jr.) are buried together, but only he has the potion for eternal life. Kharis enlists the help of an Egyptian high priest (Carradine) to revive Ananka. But he soon find the priest plans to keep her for himself. Forced to flee with his beloved, Kharis takes refuge in a swamp, where the mystery of eternal romance is revealed with unexpected optimism. For all its title, the mummy is very solid and not particularly ghost-like here. I expect it's a nod to his apparent destruction in the previous film. The story here is also much a retread of the previous film - Kharis is the tool which the high priest controls (though we see moments where Kharis is not in accord, these are overtaken by the priest's control of him), and the high priest becomes obsessed with the girl. The surprisingly downbeat ending saves Ghost from being a total copy and grants the film better measure of true horror than we've previously seen in this series. Recommended only if you're a fan of horror films of this era, or as part of The Mummy franchise. If you've seen the previous films and enjoyed them, you'll enjoy this one. As an aside, the overview attached to this film in Profiler is really inaccurate to the film. In his final film appearance, Lon Chaney Jr. returns as one of the screen's most memorable movie monsters: ancient Egyptian mummy Kharis, who is tormented by his forbidden love for a long-dead princess. Transported to Cajun country by archaeologists, Kharis breaks free and goes on a rampage of terror and destruction. Finally, he is united with his princess. But they soon discover that the greatest threat their ancient romance has ever known may be the museum curators who are after them. The final film in Universal's franchise. I'll say this - from Hand onward there's been good continuity in the series. Each film following and referencing the previous in an effective way. The one break in continuity is that somehow Massachusetts has now become Louisiana. But we do pick up where Ghost ends. The plot is much a retread again, but at least they change it up with the assistant the one becoming obsessed with the girl rather than the high priest. Again, the same basic quality as the previous films without the surprise ending of Ghost. Still, if you've enjoyed those you'll enjoy this one and want to see it as part of the franchise. Again, the overview attached to this film in Profiler is really inaccurate to the film. Single white warlock seeks beautiful blond babe to join him at the altar...the sacrificial altar! When the son of Satan (Dean Stockwell) seduces a wide-eyed college student (Sandra Dee), it's a match made in hell in this "exceptional, truly engrossing film of the supernatural" (Los Angeles Times) where the romance is hot...and the terror bone-chilling! Young Wilbur Whateley (Stockwell) has haunting eyes and an impish grin. No wonder, since his father was the devil and his mother was insane! So when Wilbur decides to start a family, he lures a cute coed (Dee) to the mountains for a weekend of demonic rites and wrongs! Now all hell is about to break loose, as their passion awakes an ancient evil determined to destroy all humanity in this sinister scare-fest of satanic seduction! This is a handsome production, with enough deviations from Lovecraft's story to make a good movie while still keeping to its spirit. If Dean Stockwell's Wilbur is more charismatic and good-looking than his literary counterpart, it works for what the film is trying to do. I personally love film inverts what we expect our hero and villain to look like - the villain is a charming young man, the hero a suspicious old professor. It's also not hard to have a lot of sympathy for this version of Wilbur. The film portrays small-minded townsfolk as unrelenting bullies (most especially funeral scene! ), so the idea that Wilbur may wish to summon extraplanar beings to wipe out humanity isn't so farfetched. 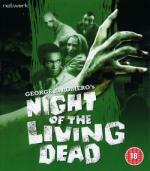 Recommended if you're a fan of Lovecraft, or enjoy 60's era horror (such as AIP's films starring Vincent Price). For fans of either of those, you won't go wrong here. This was a really good film. The performances were all really top-notch. Though Patty McCormick impressive's, given her age when the film was made, it's really hard to single out any of the actors as standing out. They're all great, from the smarmy caretaker, to the distraught Mrs. Daigle, to the increasingly troubled Christine. This is mostly a thriller with film noir stylings, though the horror lies both in Rhoda's actions and the idea of a child simply being born evil. Were it to end where it should, it would be true horror. However, Hays Code restrictions tack on an unnecessary epilogue after the hospital scene. The film should end at the hospital, and that it doesn't undermines the horror of the film. The fact that the rest of the film is so very excellent is really marred by that, but I'd still recommend it as an excellent old-school horror. If you liked The Ring, you'll love Ringu, the original international box office hit that started it all! A mysterious video has been linked to a number of deaths, and when an inquisitive journalist finds the tape and views it herself, she sets in motion a chain of events that puts her own life in danger. Prepare yourself for an unforgettable experience! Very patient, ominous piece of horror that builds to its revelations and climax. Not a lot of scares, though they're good when it gets to them. Really, this is a lot more mystery, the horror unfolding ever greater as the viewer is drawn deeper in and learns more. Very fitting ending that keeps it firmly in the realm of true horror as well. Don't expect any sort of gore or jump scares, but this is more than worth seeing for horror fans, as it's influence in J-horror and later American horror and pop culture is considerable. Get ready for a twisted take on the classic tale as Hansel (JEREMY RENNER) and Gretel (GEMMA ARTERTON) have turned pro, coping with the trauma of their childhood captivity by slaying witches for hire. But when seemingly unstoppable bounty hunters meet their match in an enemy so evil, it'll take all their training, weapons and courage to survive. PAYBACK IS A WITCH! This is mindless action-horror, but I enjoy this a lot more than I probably should. I find this film a lot of really silly fun. Maybe I've played too much D&D, cause this is a D&D adventure. Maybe that it's the fun of the steampunk stylings or the genre mashup, both of which I enjoy. Or maybe I just really like Jeremy Renner. I think it's that one. Definitely that one. This was really good. I think I watched this as a kid when it was broadcast on TV, because there were definitely scenes I remembered. Yet so much of the film was new to me that it was like watching it for the first time. I think the thing I appreciated most was the character of the mother. There were a lot of good things going on here - atmosphere, performances, some great effects for their time, but I liked the mother the best. I liked that she didn't just stand around and do nothing but scream. That she was the one that entered the portal to the other world, that she ran back into the house to save the kids. Glad to see a woman who takes action despite her own fear.